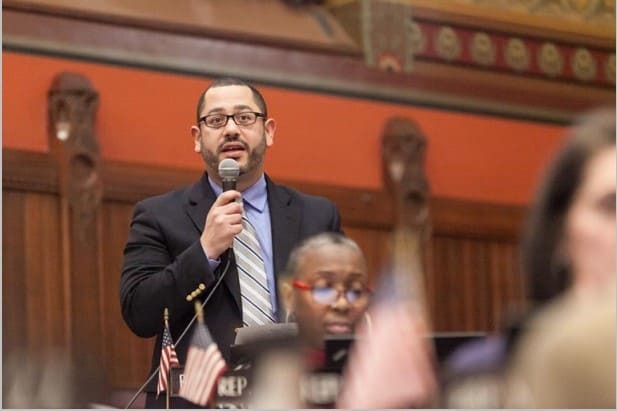 Jason Rojas M’12 balances his time working at Trinity College and representing the 9th Assembly District at the Connecticut State Capitol in downtown Hartford. Jason Rojas at the capitol. 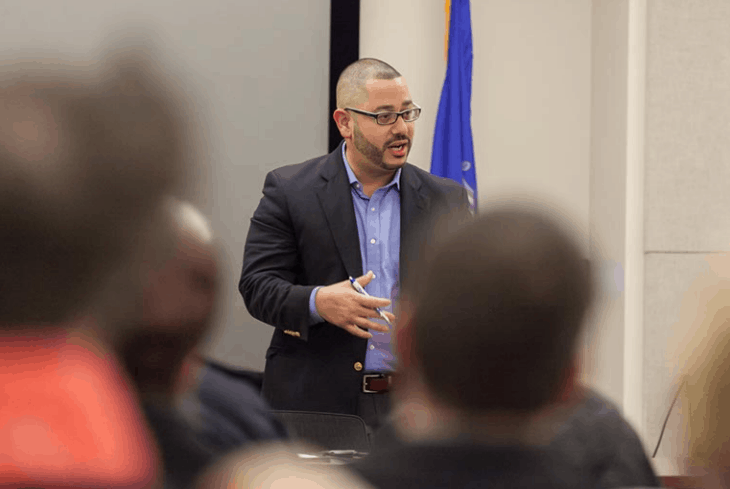 As Trinity’s chief of staff, Rojas said, his primary responsibility is to support the president, with a particular focus on managing the significant demands on her time. “I am part of a small group of dedicated professionals who work to ensure that the Office of the President is responsive to the needs of all of the college’s internal and external constituent groups,” he said. “My job is to work with members of the President’s Cabinet, students, faculty, staff, and the community to make sure we are executing the president’s vision for the college,” he said. Rojas earned a B.A. in history from the University of Connecticut and an M.A. in public policy from Trinity. He began doing community relations work for the college in 2007 and said that while there is always room for improvement, he is very proud of the positive relationship the college has with the community. Area leaders he has known for years “hold Trinity in the highest regard; many love Trinity and appreciate how involved students are in the life of the city,” he said. Trinity has an even stronger relationship with the community now than when he started, Rojas noted. “We have faculty, staff, and students who engage with the community every day on academic and co-curricular initiatives. Hartford and our urban location are central components of our new mission statement and strategic plan. 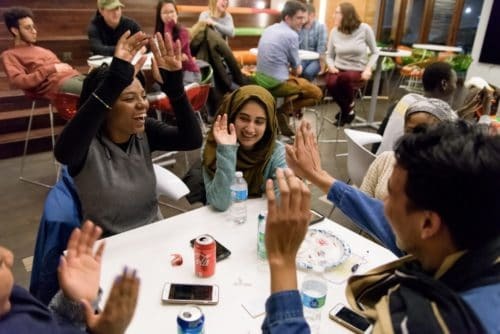 We regularly welcome the community to campus and our students to participate in the many social, cultural, and co-curricular activities that the city has to offer,” he said.